We left the village for our audience with the gorillas. At the assembly point for the gorilla treks people from all over the world assembled for allocation of groups to visit. Ours was the small Sabyinyo group. 8 individuals with the largest of Rwanda’s silver backs as it leader and protector. Our guide was to be the legendary Francois Bigirimana. 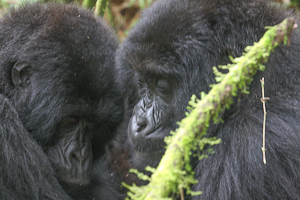 Who had regular and close contact with Dian Fossey. 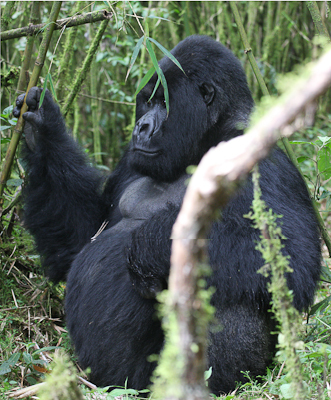 His enthusiastic and graphic demonstrations of gorilla calls and munching on the various plants that the gorillas consume added greatly to our trek. Yes that is a gum tree that he’s munching on. Apparently gorillas have adapted to the gums near the forest by striping their bark and eating the layer between bark and wood. 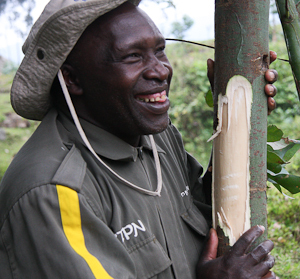 What remains of Rwanda’s forests is surrounded by Australian gum trees. Every village across the country has plantations which are used for building, fences and for cooking as charcoal. Whilst concerns about eucalyptus invading the pockets of remaining forests are justified With out this fast growing alternative to native trees whats left of the forests and the gorillas they support may have already been cleared. We were briefed about our group and driven to the point closest to the last sighting. Our trek was relatively short, 2 hours form briefing to first contact. Some groups require a strenuous 5 hour walk. We made contact with the trackers and accompanied by two guides, 8 porters and 2 armed guards we climbed the rock wall that surrounds the park. We made our way through bogs & creeks surrounded by a dense bamboo forest, vines and prickly plants. 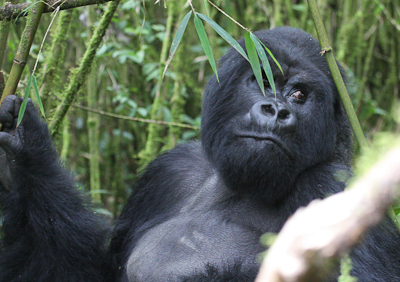 Photographing the Gorillas is not always easy! Then there they were! We were directed to moved quietly forward. 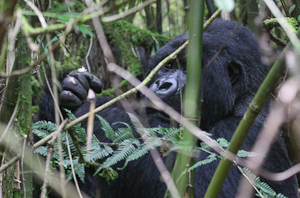 Our distance from the gorillas ‘strictly’ controlled by our guides – forward, back as circumstances evolved. the gorillas however had no such restrictions. 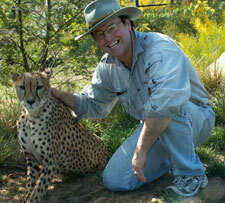 During our audience with these wonderfully creatures I had individuals wander close enough to touch. 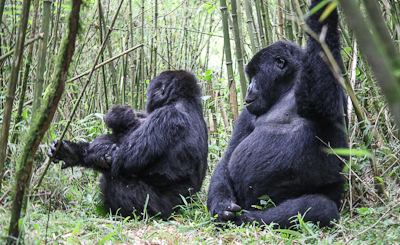 The gorillas didn’t appear threatened by our presence but did occasionally hide their faces behind their hands. Photography was again difficult in the closed canopy with shutter speeds of 1/20 sec or slower at 1600 ISO. Any movement resulted n a blurred shot. However the memories of being in the presence of these wild and wonderful creatures will stay with me forever. 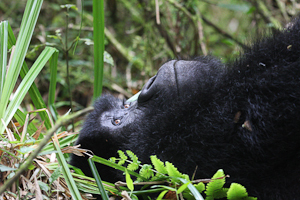 This entry was posted in Gorilla, Rwanda, Wildlife. Bookmark the permalink.